| MLS# 852887 | Oklahoma City Real Estate | Apple Realty, Inc. Welcome to Little Cedar Lodge! 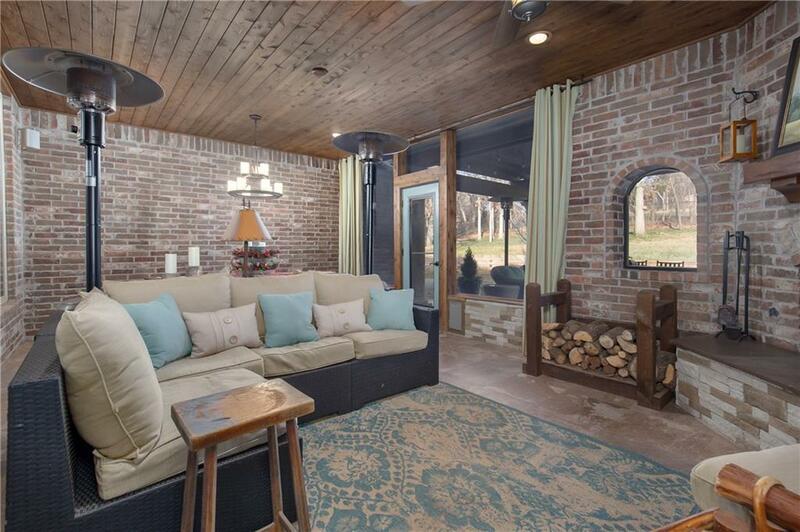 Not only light & bright inside, but two spaces for outdoor living. One which can be enclosed & includes room for dining. Roast smores on wood burning fireplace & relax while you listen to music cast on surround sound speakers. An additional Pergola covered tiled patio. Indoor Kitchen has an expansive island & boasts a lg wall oven, Advantium (rapid cooking with light) & Reverse Osmosis system so no need for bottled water. Upstairs is a full theater room with kitchen including eat on bar, two refrigerator drawers,ice maker & dishwasher. Charge your device while you sit at the Diner booth nearby. Three car garage with two deep bays for your Trucks. Remote controlled fireplace in large livingrm. Laundry connects to master closet. Office with wall of windows & lighted Rustic beams. Storm shelter. Plantation Shutters. Lutron light system to control lights in the home from one location, even car OR phone. Little room for pet or wine. Edmnd schls, Logan co tax.